There’s something not quite right with our laser printer. It seems to be printing bitmaps at about 95% of full size. 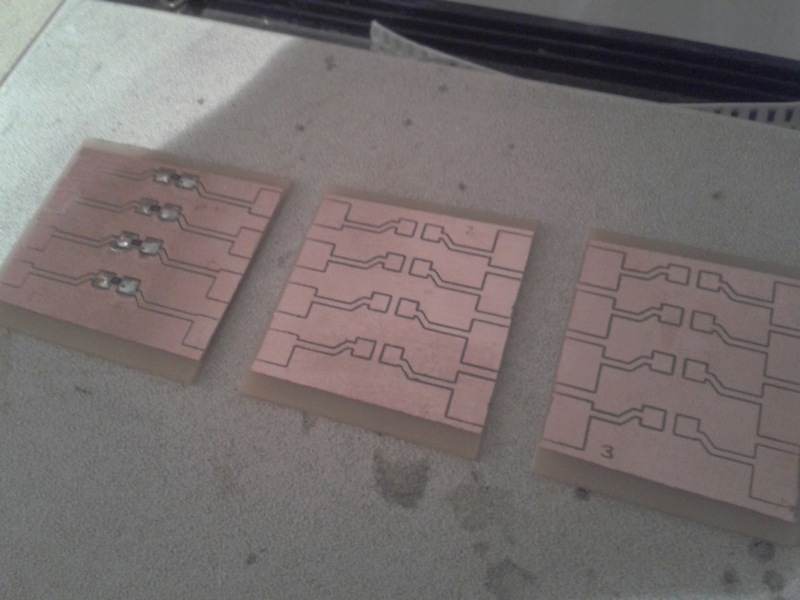 The only thing is, that even allowing for this relatively large border around each piece, they are only just the right size to go on the fingerboard. 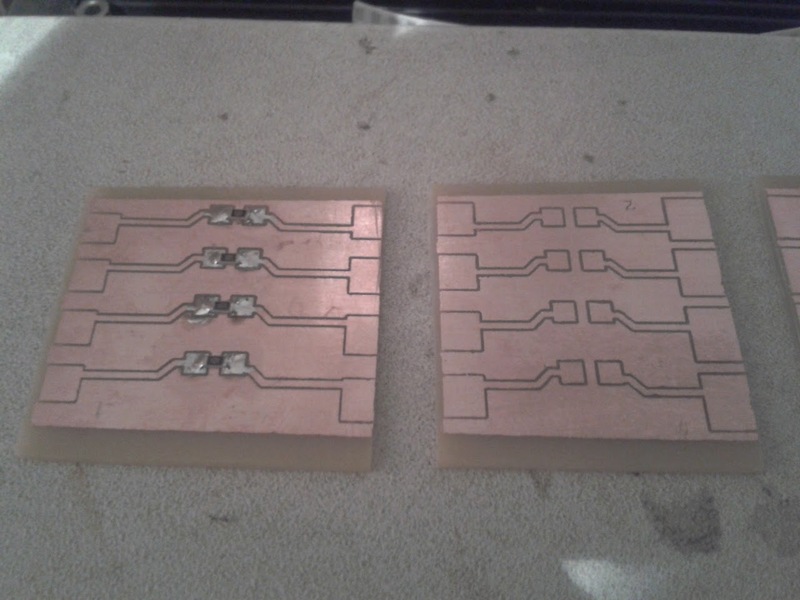 Here are some surface-mount resistors connected onto each section of fingerboard. 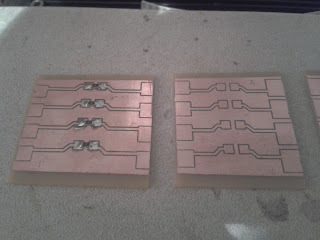 These boards will be mounted face down onto the neck. 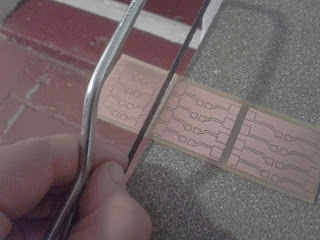 The pads on the edges of each board will be connected by strips of copper tape, running under one, over the top of the (plastic, non-conductive) fret between the two, and joining the pads on the next section of fingerboard. By doing this, we can create a resistor ladder for each string along the length of the guitar neck.